Is the Living with Michael Jackson special coming on in the U.S.? I still use a VCR much to the embarrassment of my next door neighbour Fred Flintstone. I don't know about you guys, but I am LOVING this BET Special Premiere show today... just loving it! I smile and cry with tears rolling down my face. This is so great to watch. I figure after I edit out all the commercials in this 4 hour special I will have 3 hours of this to somehow put on a DVD. I recorded this earlier using my dvd-recorder if anyones interested in a copy just pm. Also is anyone Recording the Michael Jackson Week on Q channel as i dont have that channel. If anyone has recorded anything on to vhs that they wish to have on DVD, just pm me as i can do that. Or i might already have it on dvd. Man!!! the UK has better channels and things on Michael. Really ticking me off. I mean WTH is wrong with the US? BET was pretty good, but nothing like what I am reading from other countries like the UK etc. really Cindy? i caught a couple minutes and it just looked like videos. was there anything else i missed? 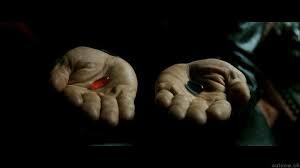 The blue pill is only Advil. Wake up. Yea, after I watched more, I realized it was running the same as usual.. but they did add a few bits I enjoyed seeing Like the snippet of Katheryn and Joe, and some older ones I've not seen in a while . What ticks me off is they did not play my fav called: "In The Closet" !!! At least I recorded that music video with a few others from the July 2nd TVOne special. Well, I hope the July 26th TVone Special has something more for us. The 30th anniversary concert from 2001 is aired on norwegian tv channel NRK in 75 minutes. It will be aired again on wednesday. No HD, just digital with Dolby Digital sound. 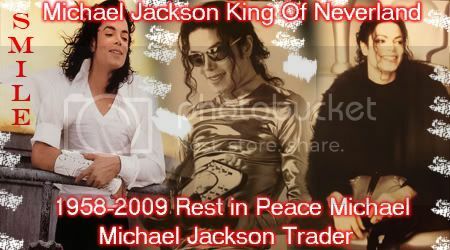 Saw a trailer on MAX TV earlier, they are planning a all-day tribute to the King Of Pop on Michael Jackson's birthday. Features include Top 50 video countdown, concert, and the premiere of a new documentary HIStory The King Of Pop. Check your local listings for times and program content as they become available. Thank you a thousand times over! I'm looking forward to the premiere of the documentary as they showed some interview footage with Michael that I have never seen before and given the previous maxtv documentaries on other artist like madonna and annie lennox, it should be a good documentary. also the top 50 countdown has some great clips, like another part of me, billie jean live at motown 25th anniversary, etc.